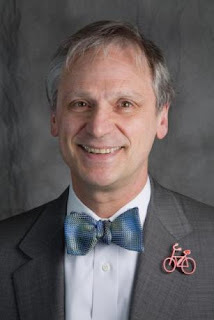 Bow Tie Blumenauer Proposes Using IRS Code to Fight "Carbon Pollution"
Just as an aside, when people like the Congressman refer to things such as “carbon pollution,” you know that life itself is up for debate. As Tim Ball likes to point out to the Global Warmists Carbon is what life is made out of, CO2 is what is emitted by life forms: they’re very different things. But no matter, Earl is on a roll and the world’s greens are paying him some attention so “carbon pollution” it is. Audits are a good thing but I believe we know where this is going: a continued ratcheting down of any industry perceived as emitting “carbon pollution,” which, by definition, is ALL of them. Oregonians, I beg of you to realize that the far left people you send to Congress are eventually people who will influence the nation into doing their crazy ideas. Out with liberty and in with tyranny. We have an obligation to protect the rest of the nation from these folks by voting them out. How will this help in shaping the tax code? This is important data for me as a member of the Ways and Means Committee. In the next congress, things have to happen with the tax code—we can’t just go on auto-pilot. There are provisions expiring, there are revenue demands, there are lots of forces at work now, so there will be changes. There’s an opportunity for reform. Having this information is going to be an extraordinarily valuable tool to do our job right. Do you have particular provisions in the tax code in mind, ones you think might come in for more scrutiny? I do suspect that a provision I’ve been trying to get out of the tax code for several years now—we call it the Hummer Loophole, where we give tax advantages for people to buy the biggest, heaviest, most polluting vehicles on the planet—will show up as having no redeeming features relative to carbon impacts. But I really am not going into this with an agenda. I’m not trying to pick out my favorite targets. It’s no mystery what a carbon audit would reveal about fossil fuel subsidies though, right? But quantification—that’s way that this needs to be looked at. This will help policymakers in EPA, administrators in Treasury, it’s going to help people in the legislative branch fine-tune our proposals. You’ll have many applications—you can’t beat having good solid information. I’m excited we got to this point. Mike Weber from the Dalles received this nasty gram from the Oregon Department of Revenue. They threatened to jack his wages, take his property et al if he didn’t cough up his tax bill. His tax bill, is, as you can see: a penny. After he went public, Mike got a nice call from an executive at the Department of Revenue. The man apologized and said this was a mistake. After the call Mike paid his tax bill. He wrote a check for a penny. The proposal involves spinning off a new entity from the Troubled Assets Relief Program that could give banks access to the government money without restrictions, such as limits on executive pay, as long as they use it to make loans to small businesses. But officials are not yet certain whether carving the program out of the TARP would be the best way to lure banks to participate in small business lending, sources familiar with the matter said on condition of anonymity because the plans were not final. As an alternative, officials are prepared to ask Congress to modify the TARP itself, easing the pay limits and other restrictions that would be imposed on small business lenders taking the money, the sources said.